Home Who are we? Live Picture Studios Founder & CEO Khoa Le Featured in The Knot Magazine! Posted By: Garrett Hemmerichon: January 25, 2018 In: Who are we? All of us here at LPS are so proud to announce that our founder and CEO, Khoa Le, has been featured in the “Ask an Expert” column of the 2018 Spring/Summer issue of The Knot New Jersey Magazine! It truly is quite an honor as The Knot has been the nation’s largest source of all wedding-related news and inspiration for years now. 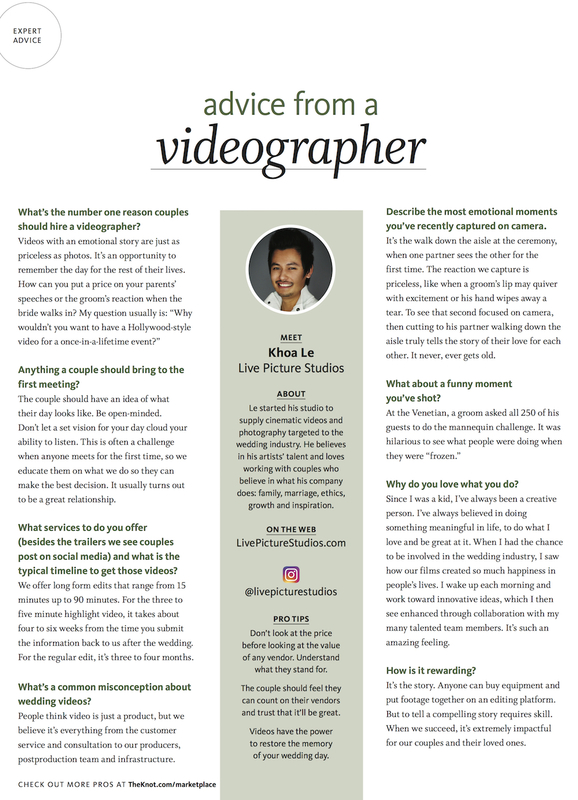 Khoa is the featured videography expert in the issue and, in the column, he provides some great tips and answers to some of the most commonly asked questions in the industry, including why couples should hire a videographer, what they should bring with them to meetings, and what some of the most common misconceptions about wedding videos are. Khoa also recalls some of the most emotional and funny moments we’ve captured on camera over the years and goes into detail about why he loves being a wedding videographer and what’s so rewarding about it. It really is a great read and if you’re on the fence about getting a videographer for your wedding, then you’ve got to give it a look. 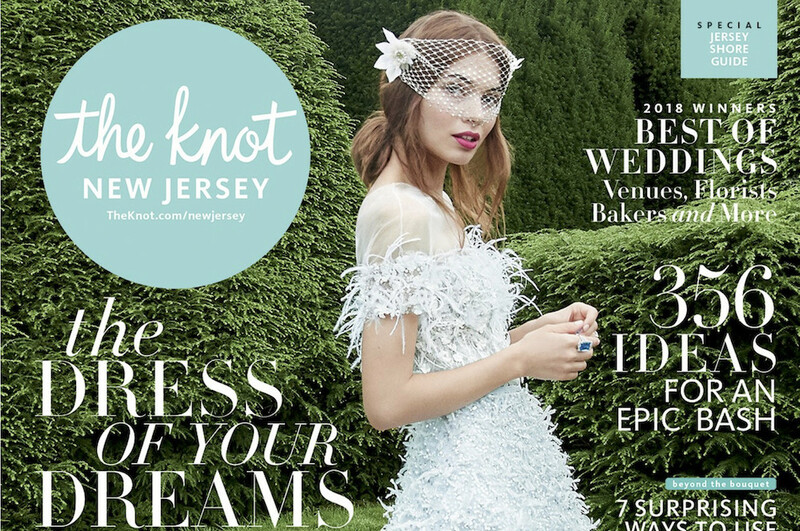 The Knot New Jersey Magazine, just like The Knot itself, was created to make wedding planning easier for couples. It’s a one-stop shop for all wedding-related information in New Jersey from videography and photography services to all other types of vendors and venues. For those unfamiliar with The Knot, the site was founded by husband-and-wife team Carley Roney and David Liu. After planning their own wedding, the couple came to the realization that had better resources been available to them at the time, then the process would have been a lot less stressful. So, they vowed to make wedding planning easy and fun for other newlyweds-to-be and, for the last twenty years, that’s exactly what they’ve been doing! They’ve helped millions of couples plan their unforgettable wedding celebrations and that’s what makes being featured in their magazine such an honor! At Live Picture Studios, we work extremely hard to stay ahead of the curve so that we can give our couples the best, most impactful results. That’s what makes being recognized and featured as experts in our field by a resource as widely respected as The Knot such an honor and we’d like to thank the good people over there for the opportunity! We won’t take it for granted! About Us: Live Picture Studios has been doing NY / NJ wedding videography and photography for years. At LPS, we always create to inspire. Check out our photo gallery and video gallery to see some examples.